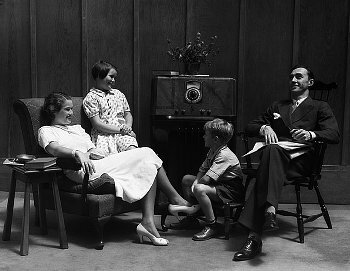 There is something that I find incredibly relaxing and peaceful about listening to an old radio program. It could be the earlier (some clichés would say simpler) times evoked by radio, or maybe it’s the ‘theatre of the mind’ that I find so much more creative than having someone spell it out for us in a film or TV program. 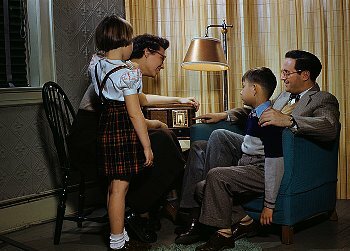 Whatever it may be, it transports me to a time before every minute of our day was accounted for, before everyone was constantly ‘plugged in,’ when families would sit around the radio together for their news and their entertainment. Yet, it is modern technology that allows me to take this step back in time. I downloaded two apps to my smartphone recently, one called Radio Spirits and the other, Vintage Radio Lite. Both were absolutely free. Each day, Radio Spirits has two radio programs, sometimes a comedy, sometimes a mystery, you never know, from the Golden Age of radio. I love that randomness. It’s like when audiences tuned in and what was on that night was on. Some nights you’ll want to listen, some nights, it’s a show you’re just not interested in. Vintage Radio Lite is more of an on-demand service. You can search through their catalog of hundreds, if not thousands of programs in a myriad of genres, cue one up, and listen away, complete with original commercials. I’ve always been a fan of old radio shows, listening to radio dramas on my radio Walkman on public broadcasting Sunday night in elementary school, having stumbled upon them by accident. As a teen, I discovered old cassette tapes of The Shadow radio programs, and in recent years, I’ve often been found with a CD of The Shadow or old Superman broadcasts in my car for a dark, rainy car drive. With these apps now on my phone, it’s actively created a new type of family time in our house. It’s not an everyday thing, but there’s plenty of times where we don’t feel like watching television, but would like something on in the background. So, we ‘tune in’ via the app, and as we eat our dinner, listen to the phone/radio and chuckle to the likes of Fibber McGee and Molly, Our Miss Brooks, or the Alan Young Show. I’m also quite partial to the Jack Benny Show, and, as I said, any time Orson Welles played The Shadow. 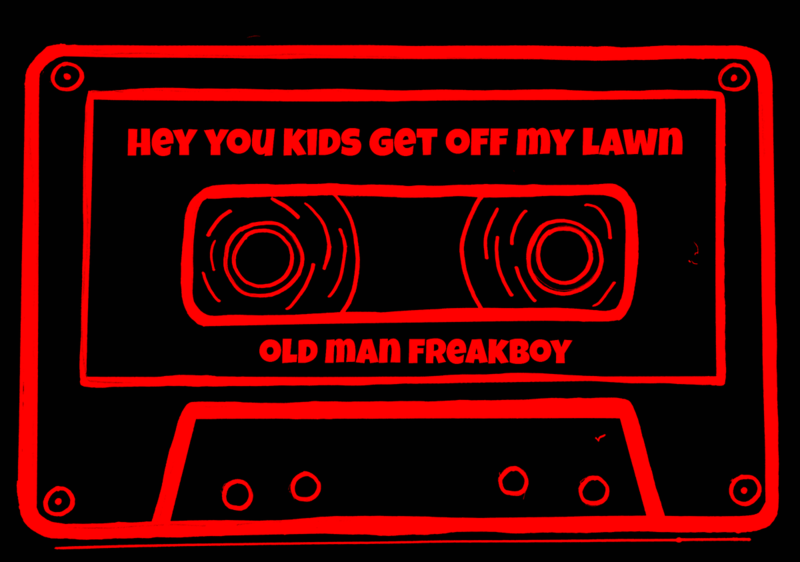 My sister-in-law sometimes jokes with us that our son will be confused as to what era he grew up in with our love of old movies and radio, etc, etc. 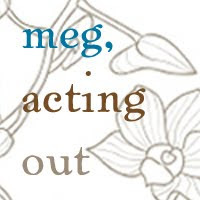 While I don’t think it’ll be that bad, Meg and I hope that growing up around these things will give him an appreciation for what’s come before, and make him realize just how far things have come. It’s important to us not to lose the past, but preserve it and honor it, as we move forward to the future. We hope he will do the same. A little modern technology, letting us appreciate and preserve the past. Pretty neat.